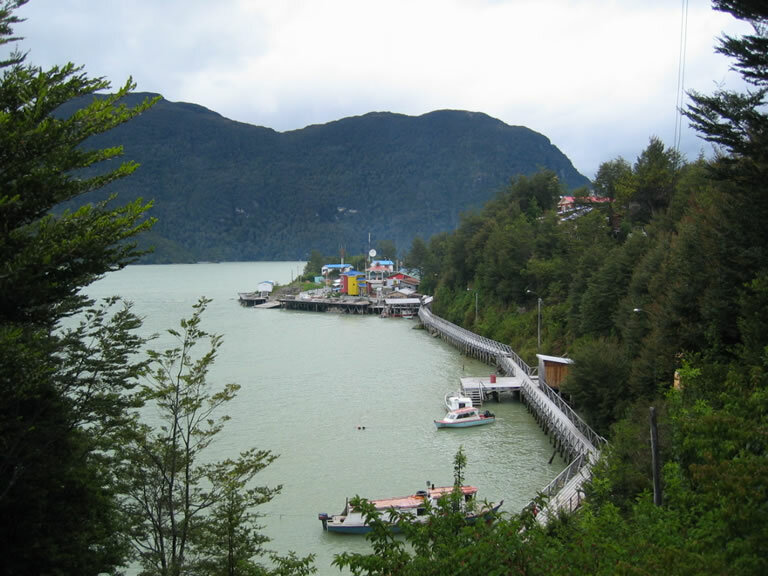 Caleta Tortel is a picturesque fishing village, laying at the mouth of the Rio Baker between two icefields, Campo de Hielo Norte and Campo de Hielo Sur. It lies right on the water's edge, and consists purely of wooden houses linked together by a labyrinth of wooden walkways and stairs. A short while ago, the only way to get to Caleta Tortel was by boat along the Rio Baker. Fortunately they have now built a road taking you right up to the village's edge. 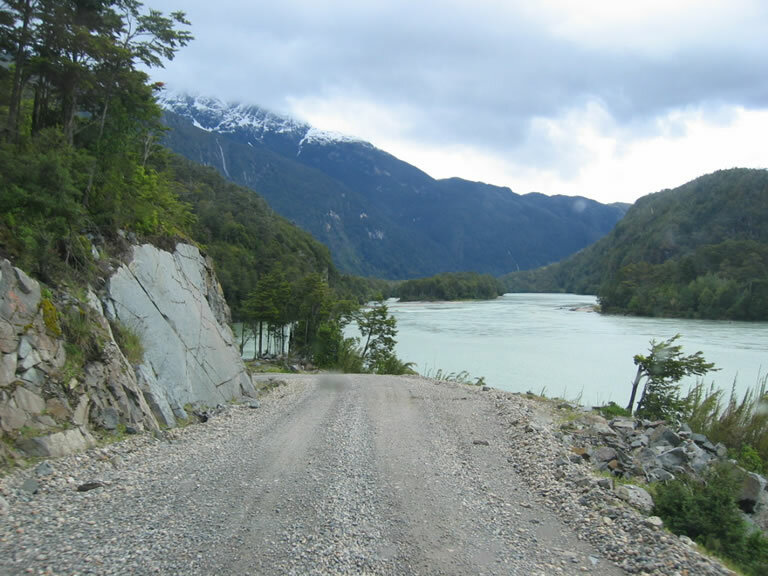 Although it meant a detour away from the Carretera Austral, people we had spoken to had highly recommended it. The road is mostly rough, some sections having steep drops over the edge - luckily they were on the driver's side! We had seen hardly any cars at all along the road and typically, just as the road got narrower we saw a lorry approaching us in the distance. We had to hug the edge as far over as we dared to allow the lorry to pass by. You can't drive into the village itself, but there is a large car park at the top where you can leave your car and walk in. Unfortunately that also meant that there was nowhere obvious to camp other than pitching up in the car park itself, in full view of the villagers below. As we walked to the edge of the village we met one of the locals tending to his rather waterlogged garden. We had a bit of a chat in our limited Spanish and his limited English, to find out where we could camp. He said we were welcome to camp up in the car park, although there were no public toilets to use - and nowhere obvious to go as an alternative. 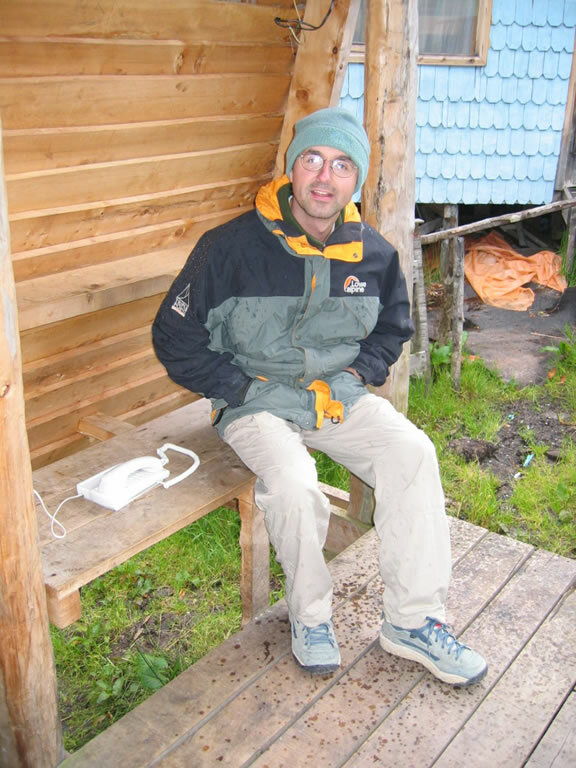 There is also a walk-in campsite further into the village, but you would need a ground tent. We decided to go for a wander and make a decision about where we would sleep that night on our return. The weather had been changeable for most of the afternoon and as we arrived it started to rain - not the best conditions for walking on slippery wooden walkways. 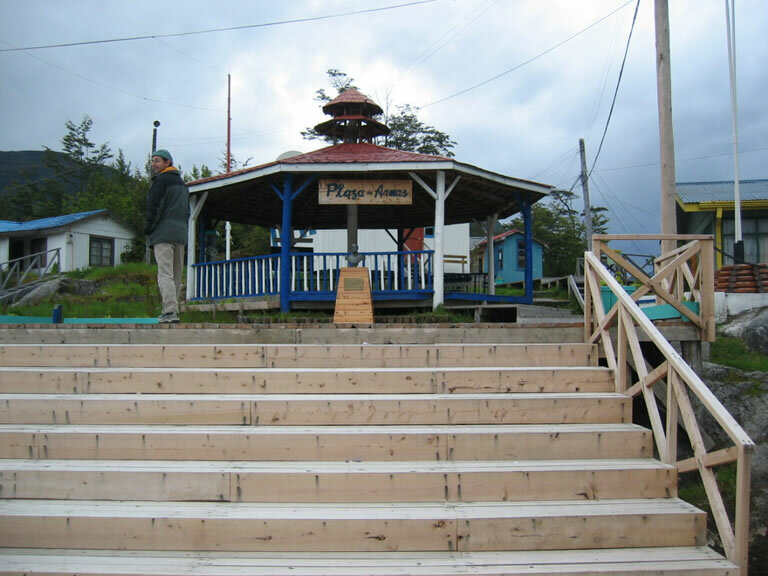 The village seems to be in constant rejuvenation and the smell of swadust hangs in the air - walkways being replaced, new walkways and stairs being built. It was difficult to know which ones lead to other walkways and which only lead to someone's house! We had read in the guidebook that if you wanted any information, just use one of the public phonebooths - these turned out to be normal domestic phones dotted around and for which you needed a pin number of some sort to use. We even saw signs for internet access at the local library, although it was closed as it was a Sunday. Our guidebook had mentioned a bar but we failed to find anywhere that looked remotely like one, so having had a good wander we headed back to the landy to decide where we would stay the night. 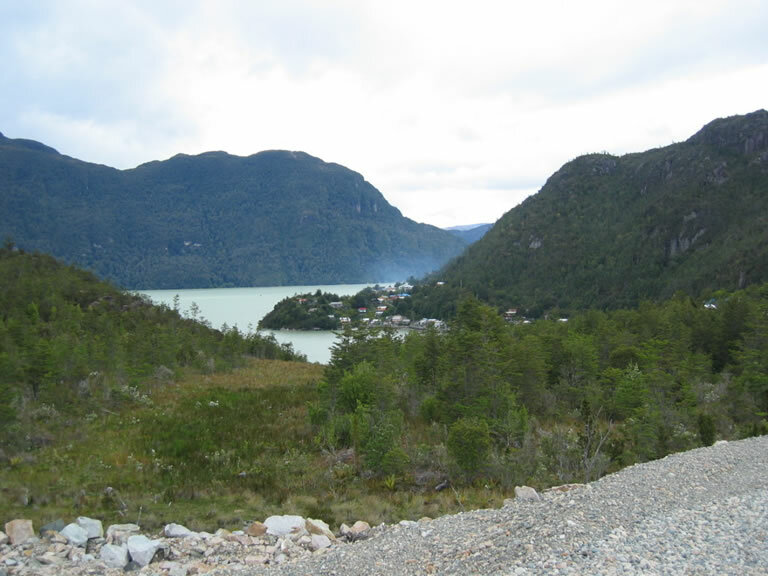 All in all, Caleta Tortel is a great little village, very different from others along the Carretera Austral, so well worth the detour. There are local buses - complete with a nice new wooden bus shelter - so it is possible to get there without your own transport. Although the buses don't seem that regular currently, this may change as tourism to the area increases. 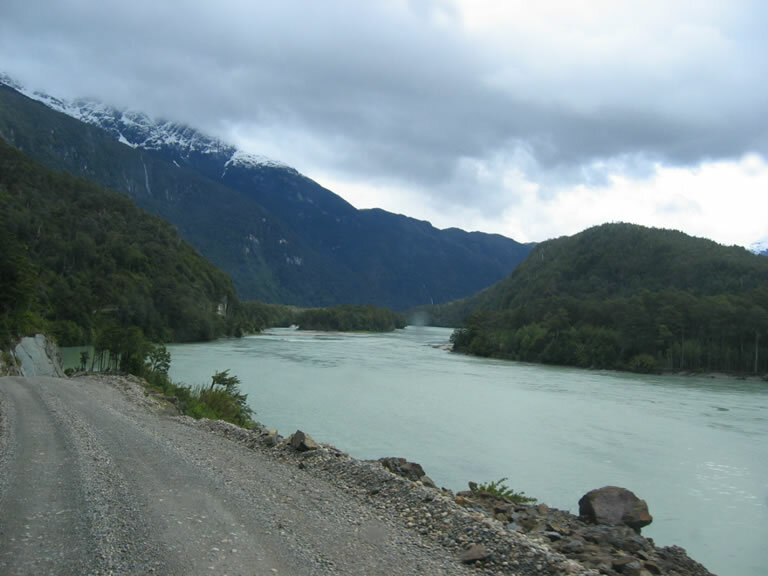 It was still fairly early in the evening and wanting to camp with a little more privacy than the public car park offered, we headed back out along the road towards Puerto Yungay. It was from there we would be catching the ferry to Villa O'Higgins the next day. 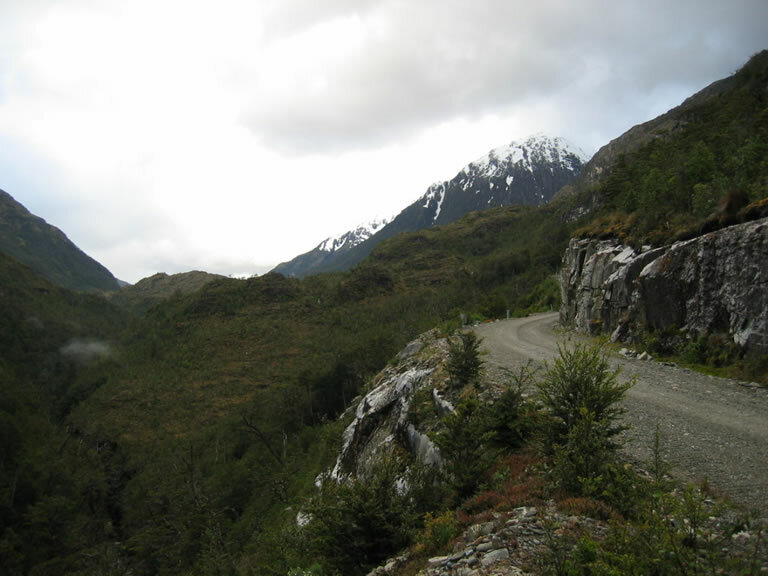 Arriving back at the junction to the Cochrane road we turned right, heading to Puerto Yungay. We soon realised finding a remote camping spot was going to be far from easy. The road was narrow and winding with a steep cliff one side and either a steep drop on the right hand side or thick forest which prevented us from parking up off the road. It was going to be dark soon and it was not the type of road we wanted to be driving along at night. Eventually we found a clearing off the road and called it a night. We cooked up a quick dinner, trying to avoid being eaten alive by biting insects and then turned in. We reckoned we were about a 30 minute drive from the ferry, so we didn't have too far to go the next morning.